You are a team of special agents and a new mission awaits. Spies were able to find our secret base and activated the bomb we have hidden there. You will have 60 minutes to defuse the bomb and complete the mission. 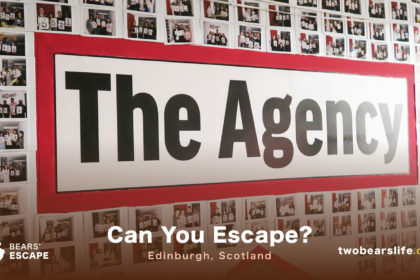 The future of the agency is in your hands! 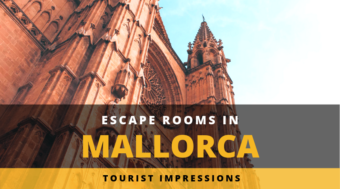 QuestQuest Mallorca offers three rooms with Lost in Past and 007: New Mission representing the classic Escape Room experience. The third room is called Questlimpic and more of a puzzle-run experience, which we didn’t play. We started with 007: New Mission, in which you have to find your way into a police training station and disarm a hidden bomb. This room was is the newer of the two we played and offered a nice puzzle-variation with some physical tasks involved as well – although you only need one person of the team who should be able to move without any limitations. We escaped after 54 Minutes. Although Lost in the Past was their older room, we actually did enjoy it a bit more as the number of puzzles was (or felt) higher and the gameflow was better. 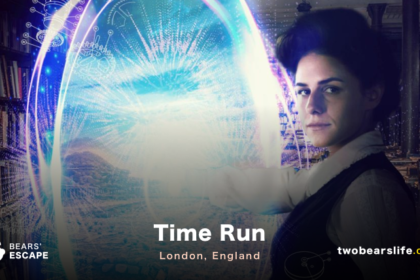 The timetravel aspect is not fully used in the room, but the decoration and puzzles in the room are well done. We finished after 43 minutes and returned to our time successfully. Our gamemaster, who was one of the owners as well, was very attentive during our games and the tips we received (after we asked for them) were on point. The location itself was clean and spacious enough. 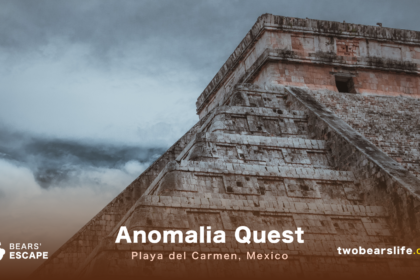 All in all, QuestQuest was a fun experience and the only company in Mallorca we would wholeheartedly recommend to visit if you want to do some Escape Rooms in Mallorca. 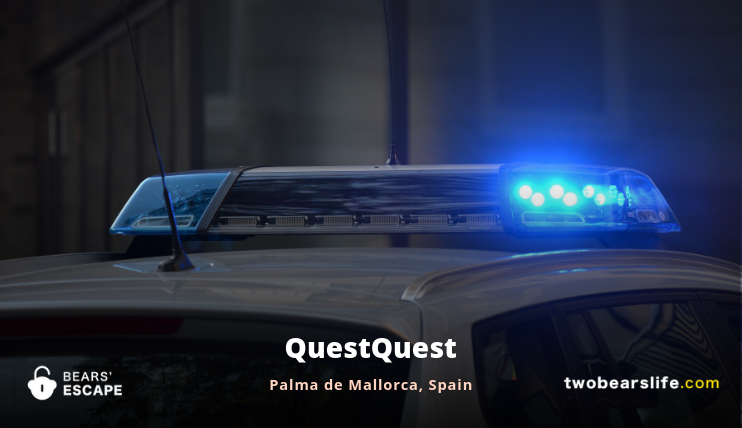 QuestQuest close to the heart of Palma de Mallorca offers three rooms – we played two of them. Lost in the Past and 007: New Mission both offer a nice game design paired with fun puzzles and tasks. The communication in english worked great and we had a fun time playing the rooms as a pair of two. All in all, QuestQuest was our favourite Escape Room venue in Mallorca.